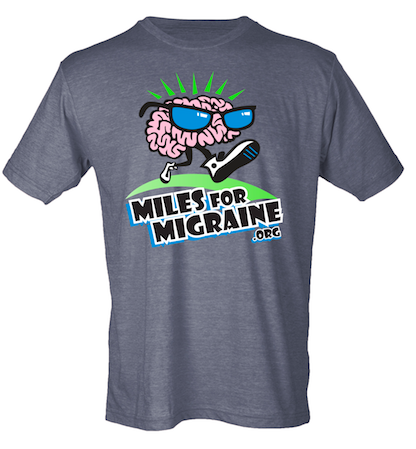 To improve the lives of patients and their families, and to ultimately help to find a cure for migraine. During a first-ever advocacy visit by the Alliance for Headache Disorders Advocacy to their respective members of Congress in September, 2007, a group of mostly M.D./PhD research and clinicians in migraine and headache disorders, including AHS member and migraine patient Eileen Jones, RN, PHN, were given a challenge. Legislative Aides of Congress Persons and Senators told these research specialists that their quest for an increase in the National Institutes of Health spending allowance for headache research grants was flat (only ½ of 1% of the total budget), and would not increase in the foreseeable future. Furthermore, they were discouraged to hear that they needed to build public support in their home cities and states, where until the citizens start to demand funding, things would probably not change in their favor. In response to this Congressional challenge, Eileen decided to start a competitive race. 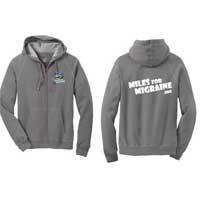 Miles for Migraine held its first 5K and 10K run and 2-Mile walk in the fall of 2008 in San Francisco’s Golden Gate Park with approximately 200 participants. 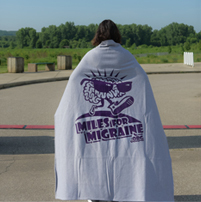 Our vision is to create some “big noise” in the community and raise the awareness of migraine and headache disorder as more than “just a headache”. 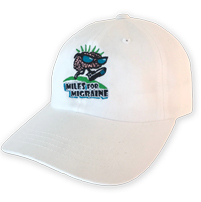 We are planning to accomplish that by growing our signature event, the Miles for Migraine 5K, 10K and 2-Mile walk, and by implementing new programs such as a day camp for adolescents suffering from chronic migraines, and an adult seminar series. 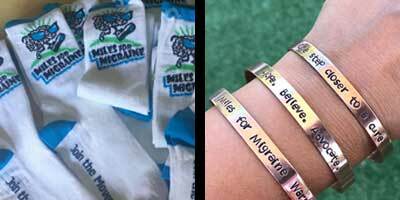 Prizes build as fundraising increases. For example, raise $50 and get the prizes at that level and below. Raise $100 and get that prize and the two below. 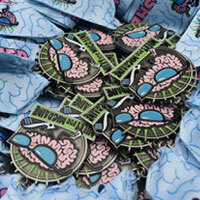 NOTE: Shirt and medal ribbon color may vary. The event/charity has chosen to automatically generate tax receipts. 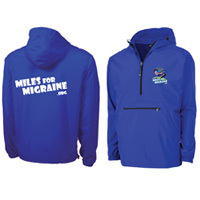 Only eligible on donations of $1.00 or more.